Click image above to view slideshow! 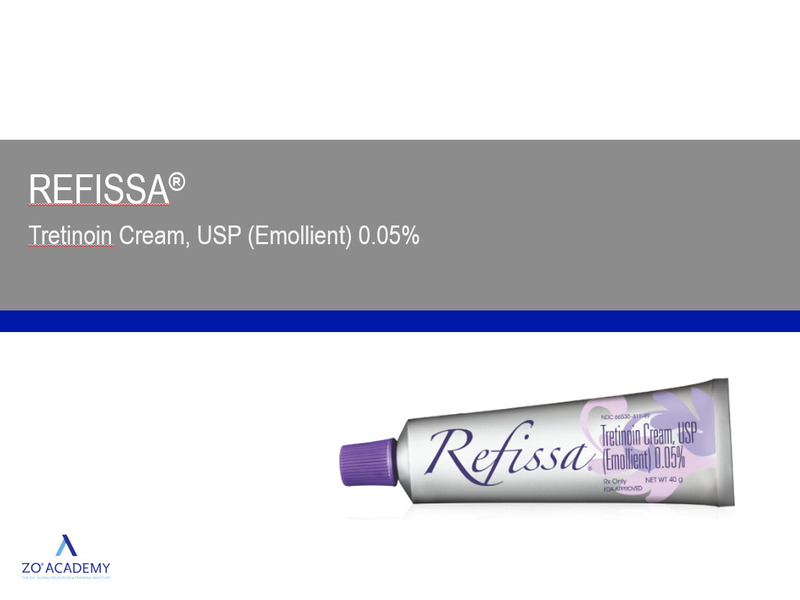 Refissa is a 0.05% tretinoin concentration that is delivered in a soothing emollient cream that is easily tolerated by all skin types and reduces the potential for retinoid skin reactions. If you want to improve the appearance of fine lines, uneven skin color or texture but do not want the redness and irritation often associated with retinoid products…This product is for you!